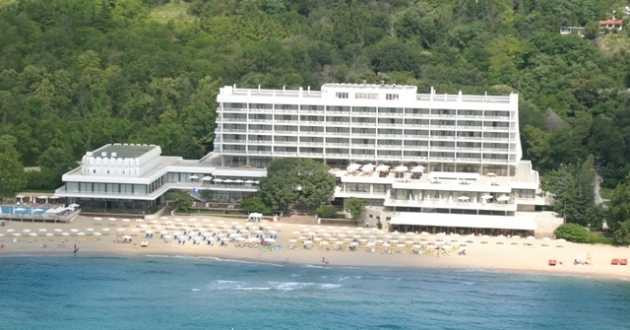 Sunny Day Resort: A oasis of tranquility – that how is called this marvelous resort, situated amongst natural park at the shore of a little quiet gulf with wonderful beaches and two mineral springs, 10 km away from the sea capital of Varna. Sunny Day offers 1254 beds in four hotels of different categories – 3-5 stars. The season starts in May and ends in October. The tourists, who are arriving here, have the unique possibility to combine the holiday with curative and recreational procedures. The Palace and Marina Hotels are equipped with modern SPA centers with outdoor and indoor swimming pools. More than 100 different procedures are offered here, inclusive treatment with mud from the Lake of Varna. If Sunny Day was offering only these services, it was going to be just one smart sanatorium. But in fact it is contemporary elite complex, which corresponds to the tendencies of the world tourism. Three of the hotels in the resort work by the system “All inclusive”. The well-chosen staff is making varied animation and a lot of entertainments at the beach. The elite resort of Sunny Day offers also perfect conditions for conferences and business activities. It is located next to St. st. Constantine and Helena Resort and has good transportation to Varna and other tourist complexes.